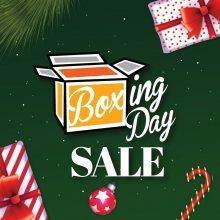 Now that the Christmas sales from the US side is over, let’s look at the other side of the pond and see what UK has to offer for boxing day sales. This is an expansive list so do keep coming back to be updated with the latest deals! Fashion * French Connection – up to 60% off! * Ted Baker – up to 50% off! * Marks & Spencer – up to 50% off! * Debenhams – Upto 50% off and free delivery on orders above £45! * Harrods – up to 50% off on Women’s Fashion and Beauty Items but no free delivery. * House of Fraser – up to 50% off and free domestic shipping for orders above £50. * Gap UK – Up to 60% off and free domestic delivery for orders above £50! * Dorothy Perkins – Up to 50% off and free domestic delivery for..
We aren’t all that different. 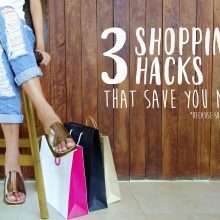 We LOVE looking out for ways to save money, get the best deal, and find products that no one else has. We also believe that sharing is caring. So here are some tips we thought might help you save money while shopping online!​ 1) MAKE USE OF FREE SHIPPING DEALS WHENEVER POSSIBLE If you’re an online shopping veteran, you’d be familiar with promises of free shipping on major shopping sites once you spend over a certain amount. Most of the time it only applies to domestic shipping, which leaves you wondering how much should you actually spend before the international shipping makes it worth your while. Because BuyandShip provides you with local shipping addresses, you can now make use of Free Shipping Deals. On our end, we promise that the shipping you pay will definitely be less than shipping direct from these stores. ​ 2)..
FREE SHIPPING DAY IS HERE! HURRAH! Aahhh… Christmas shopping… Instead of feeling all jolly, the thought of shopping itself brings a feeling of dread. Thank the fairy lights for online shopping, yeah? That is… if you’re a diligent shopper and made sure you checked off your entire list a couple months in advance. That’s probably why Free Shipping Day was created, because everyone gets too busy at this time of year and will ALWAYS leave gift shopping to the last minute. And what we discovered is that there is a huge, huge, HUGE range of participating stores. And don’t forget! We are giving away S$10 worth of shipping in celebration of Free Shipping Day for every new signup! To help you, we’ve browsed through the list and have picked something for everyone in the family! For Mom: Banana Republic Saks on 5th Because for at least one day a year, she deserves to get all dressed..
FREE $10 for every new signup to celebrate FREE SHIPPING DAY!!! The words “free shipping” really gets our attention when it comes to online shopping. But to have a day DEDICATED to FREE SHIPPING? That really makes us tingle! We were thrilled when we found Free Shipping Day happens once every December in a bid to help spread the Christmas joy. This year, it falls on 15 December. Started in 2008, Free Shipping Day is an event to make sure people get their shopping done and by that date to ensure they get their Christmas shopping by Christmas Eve. Since then, there have been many, many stores and brands joining the festive event, so you’d be able to get something for everyone! Clothes, shoes, toys,makeup, you name it! Yes, we know what you’re thinking: Free shipping only happens within the US. But if you use BuyandShip’s actual weight charges, we can ensure you still get your items at a fraction of..
Ho ho ho~ BuyandShip’s Santa has a Present for You! [Christmas Gift from BuyandShip] BuyandShip’s Santa is coming to town now! From now to 10 Dec 2017, you will be entitled to participate our Christmas Gift giveaway by completing below 4 steps. Grab your chance to win a US$200 Christmas Gift! It is quite simple: 1. Like our Facebook Page 2. Share this post on your timeline as public 3. Tell us what you want for Christmas at the comment box of the post(the value of the gift must under US$200), and the reason why you want it(a 100 words line will do) Sample comment: “I want Massdrop x Sennheiser HD 6XX Headphones for this Christmas, it has great sound quality and it is made in Ireland! @A,B,C” The more creative you get, the better your chances! 4. Tag 3 Friends 4. Click and fill up the Google Form here to finish. ========================= The 2 winners will be picked by..
Amazon Ends Free Shipping to Singapore??? We could hear the sinking of countless hearts when the news was just confirmed yesterday. (Credit: Channel News Asia) No more free shipping from Amazon to Singapore? How can it be?? We know of many friends who could spend hours (days even) perusing through the seemingly infinite pages on Amazon, ultimately happy that they are able to purchase products not available in Singapore, and save money while at it. But without this cherry-on-top service, Free AmazonGlobal Saver Shipping, would shopping on Amazon even make sense anymore? Thankfully we KNOW how to get our hands on what we want WITHOUT having to pay a small fortune. Even better, you also get access to other items originally not eligible for AmazonGlobal. All you have to do us register at BuyandShip.com.sg and make use of our US forwarding address. We are still offering $5 of credits with every new signup. THAT’S our cherry-on-top! You Buy, We Ship – Cheap! One of the wonderful things that the Internet brings is online shopping. The beauty of it is that getting all the products we could ever want or need is just a matter of making a few clicks. But of course, everything comes with a catch. Your shopping still has to travel the miles to get to you. And these miles can be costly (read: very expensive). Even if you get the best deal from Amazon, or want to make use of a promo by Victoria Secrets, shipping from these sites individually will cost either the same as your item, or even more! Who’s going to spend $20 to ship a screen protector that costs only $10? Oh wait, there’s free shipping? Then you realize it only applies only to domestic shipping. Another roadblock… At this point, you’d sigh and wonder where you can find a reliable and affordable 3rd party..
BuyandShip differentiate themselves from other courier services in so many different ways, here are the Top 5 services we provide: 1. Using 3 airlines: Cathay Pacific, Fedex, & HK airlines simultaneously to make sure deliveries are shipped on time. 2. We deliver straight to your door, whether you like many presents arriving, or shop discreetly by consolidating all shipments and receive it all at one time. 3. No matter where your order is shipped from, a base rate of SGD $5 per pound will be charged for overseas shipment from our USA, UK, Japan, Korea warehouses. With a few easy steps your parcel will be delivered to you in no time! 4. All warehouse operations are managed by our own staffs, providing customers fast and efficient transit time, and 100% safety even if the tracking number is missing your parcel would not be lost. 5. We have successfully partnered up..
American Thanksgiving, Black Friday as well as Cyber Monday is just around the corner! As Thanksgiving and Black Friday is known to be the most talked about holiday shopping fest, Cyber Monday has grown in popularity and is becoming a bigger holiday shopping event as well. That being said, are you ready for this year’s crazy shopping events such as where to shop for the best deals and how to fight for it before it runs out of stock? Here we have gathered a shopping guide and deal predictions for you : 1. Thanksgiving/Black Friday/ Cyber Monday promotion period and promotion items • Thanksgiving – 23rd November 2017 Thanksgiving happens annually on a Thursday on the 4th week of November, in this case this year’s Thanksgiving will be on 23rd November. If not all, most of the American online stores including accessories, shoes, kids apparel, toys, beauty skincare, sports, and..